During your struggling phase of life, you are not left alone! Are you unemployed? Failing to find out ways to manage a stable source of income? Don’t worry! The UK has got something to offer to everyone. 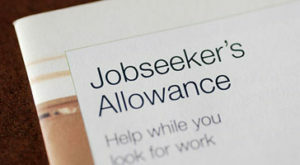 Even if you are jobless, the country provides a Jobseeker’s Allowance, also known as THE DOLE, which is paid by the government to those who are unemployed or are in the process of finding a job. To claim this aid, the applicants must show that they are actively searching for a job. The DOLE is paid by the ‘Department for Work and Pensions’ and is meant for those 16-65 years, barring exceptions. For a single person, above the age group of 25, the benefit is about $110 a week. But the figures are not fixed as it all depends whether the applicant has paid national insurance. Contributions-Based: It all depends on how much National Insurance you have paid. Income-Based: This is based on your income and savings. What if the applicant fails to get a Job? In a condition when the applicant is below 60 years of age and fails to find work in 18 months (6 months for those under 25), then he or she would be placed under the NEW DEAL scheme. The main motto of the scheme is to reduce unemployment by offering training sessions and voluntary work to the jobless people. In addition, a new scheme known as “Flexible New DEAL” will soon come out in October 2009 that will target at providing more precise advice to the unemployed people. People aged 60 or more. Caring for a disabled person. Student (only those who qualify for the aid). Disabled people having reduced income due to their condition. Pregnant within eleven weeks of the expected date of confinement. Unemployment people who are seeking jobs and have signed the Jobseeker’s form, to name a few. If the government comes to find out that you are not involved in any job-seeking procedure, you would be prohibited from availing the benefits. Never miss your Restart Interview and Compulsory Scheme, otherwise you would be required to start the whole application process again and make a new claim altogether. It is also mandatory to sign the Jobseeker’s Agreement at the same time and failing to do so may lead to the suspension of the benefits. If the applicant fails to continue with the work and voluntarily leaves it, then the administration holds the right to suspend him from future benefits. 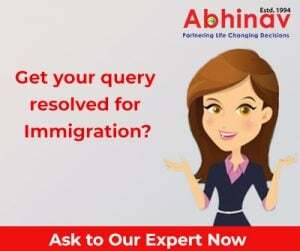 It would be beneficial to avail advice from an experienced immigration and visa firm as it is always decked with up-to-date information on what all is happening in the Immigration World! Thanks for the news…. I was worried about my brother who is settled in the UK but didnt had any stable job in hand. Thanks to the “THE DOLE” and THE NEW SCHEME,” now he can have financial support and at the same time search for a decent job also.